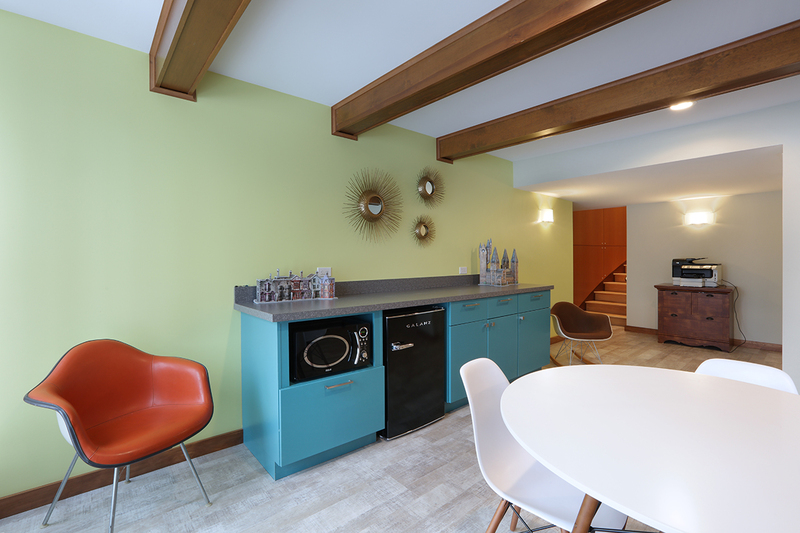 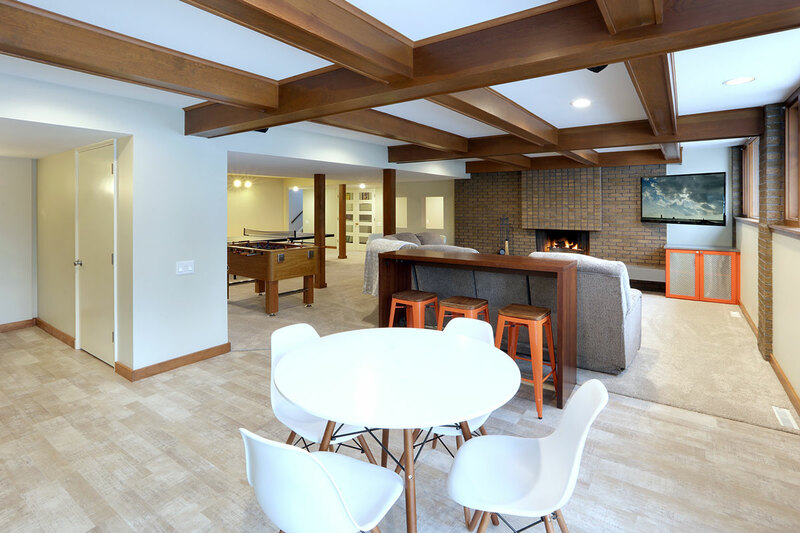 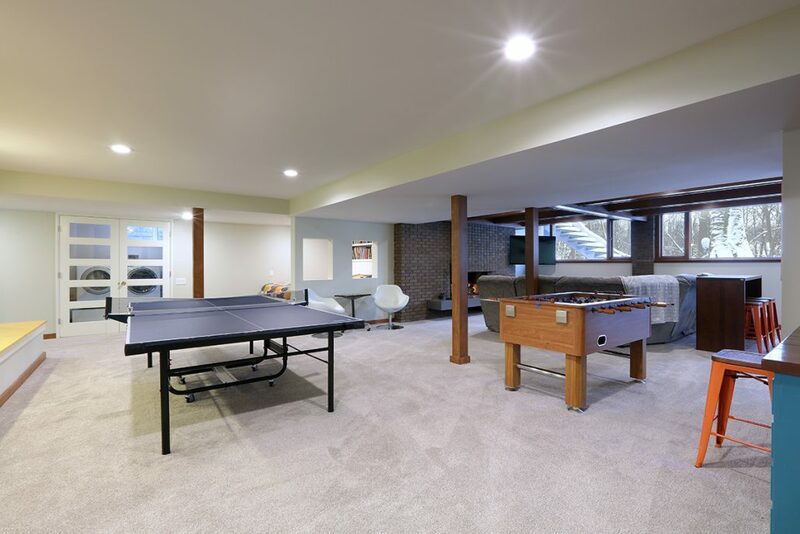 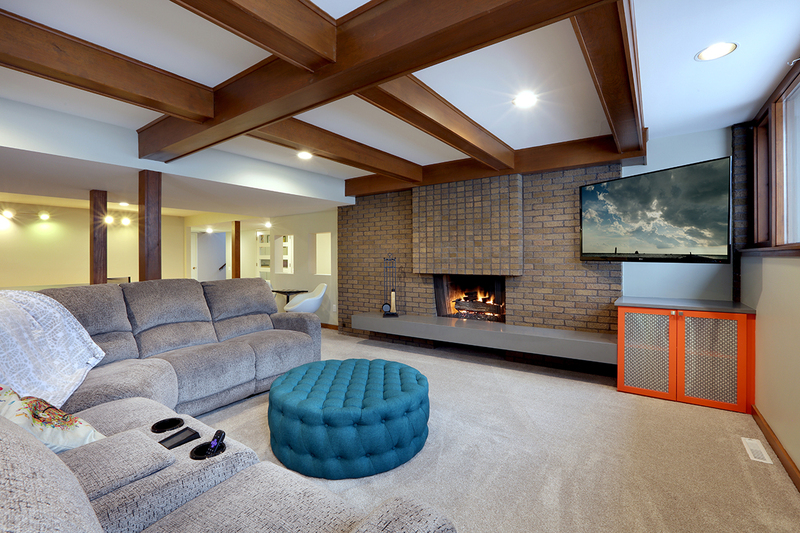 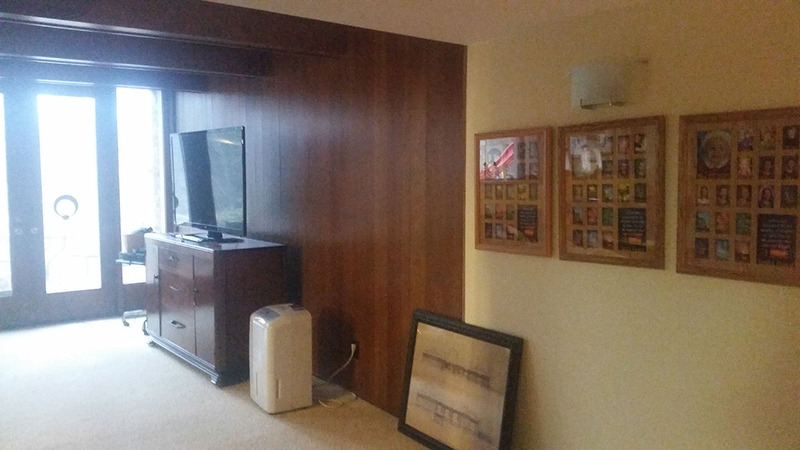 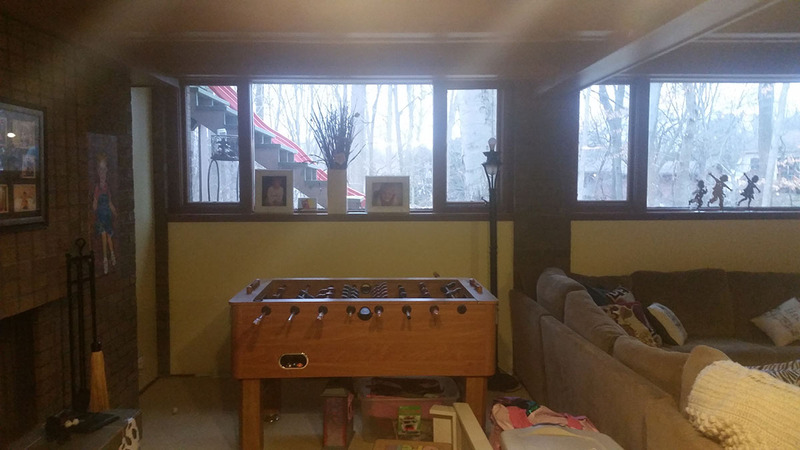 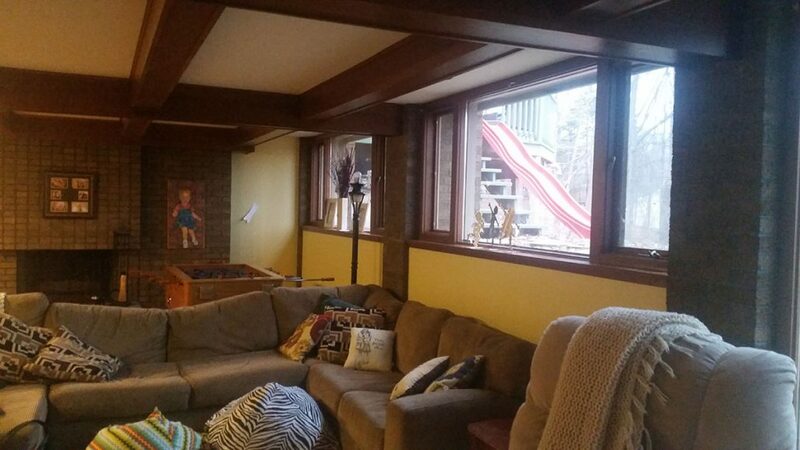 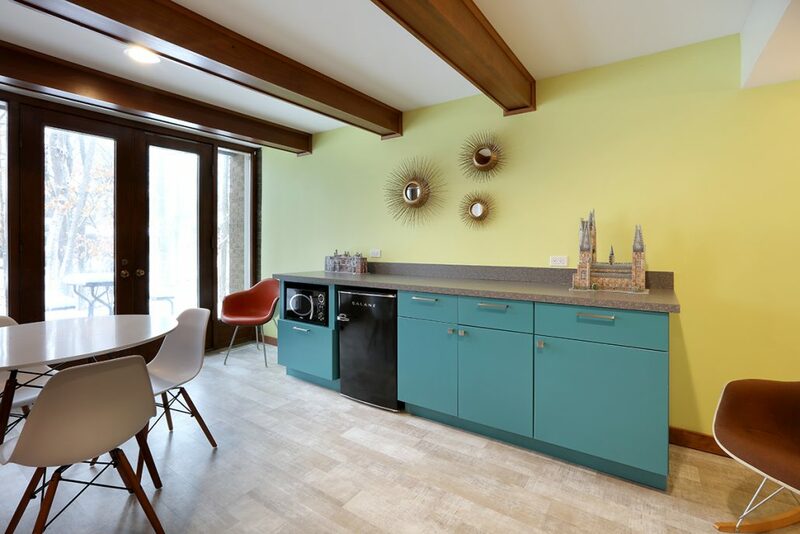 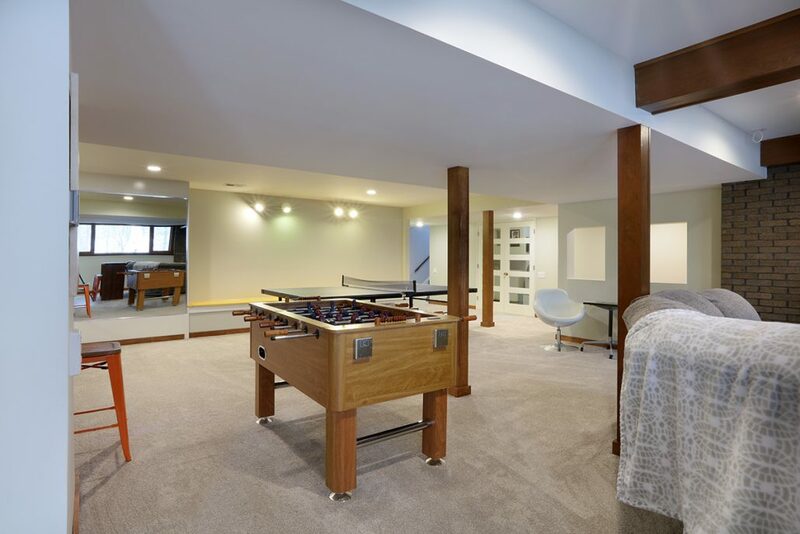 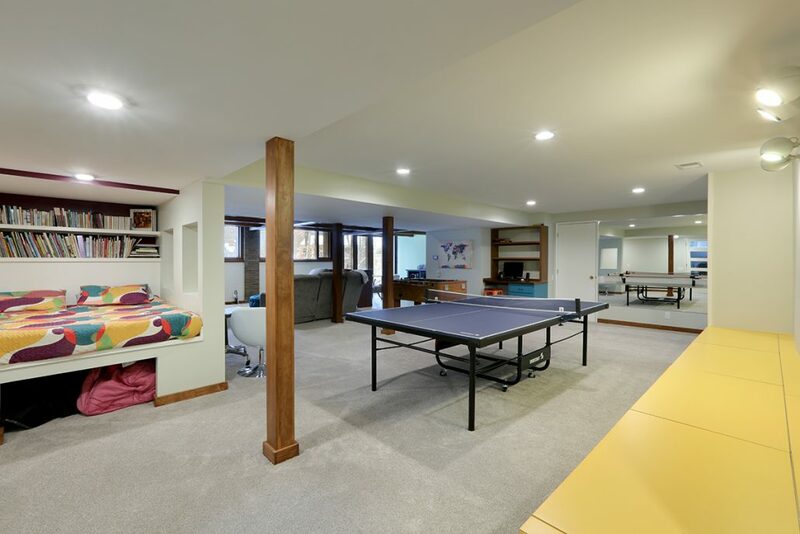 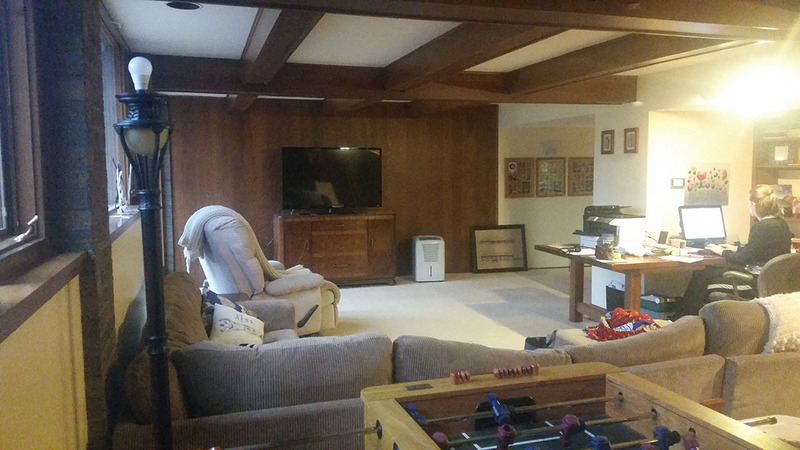 Mid-Century Modern Basement – Morris Builder's Inc.
Full basement remodel. 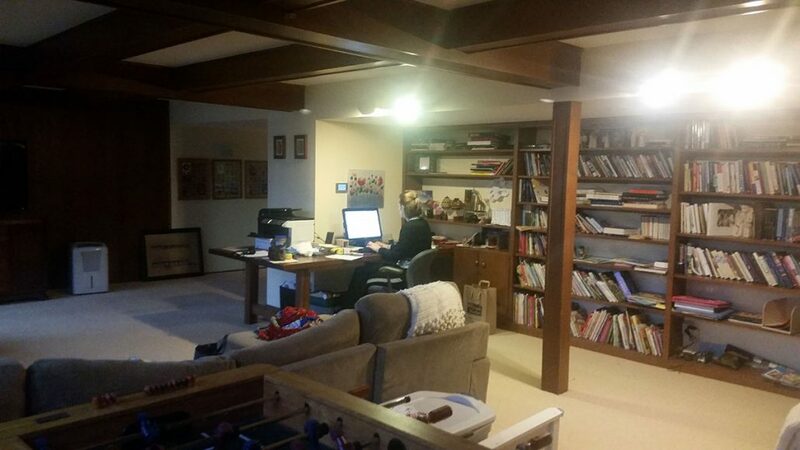 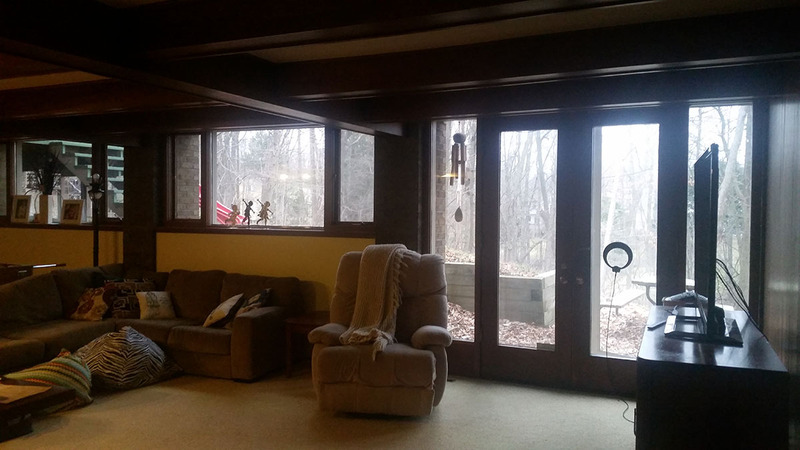 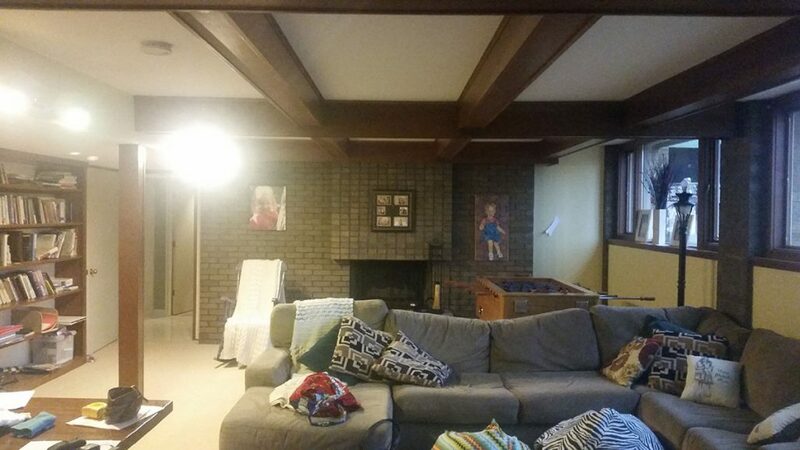 Remove (2) load bearing walls to open up entire space. 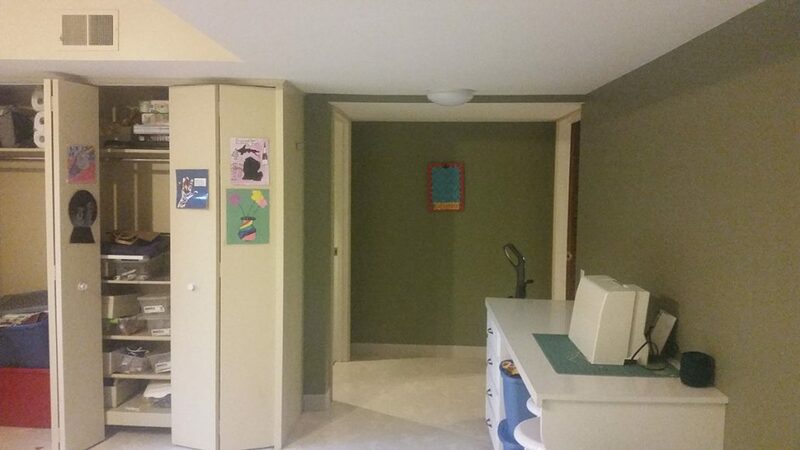 Create new wall to enclose laundry room. 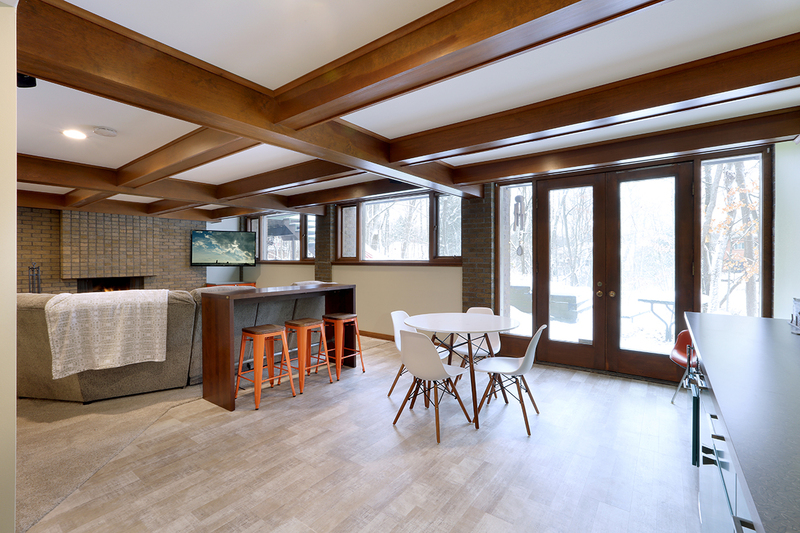 Create dry bar near entry. 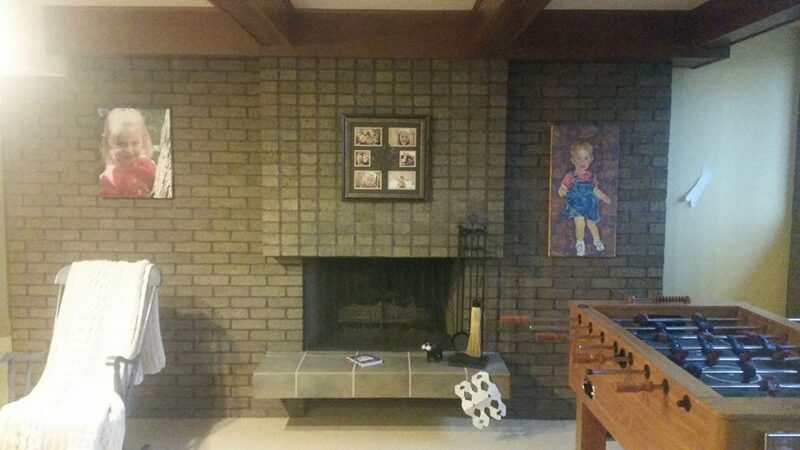 New floating hearth at fireplace and entertainment cabinet with mesh inserts. 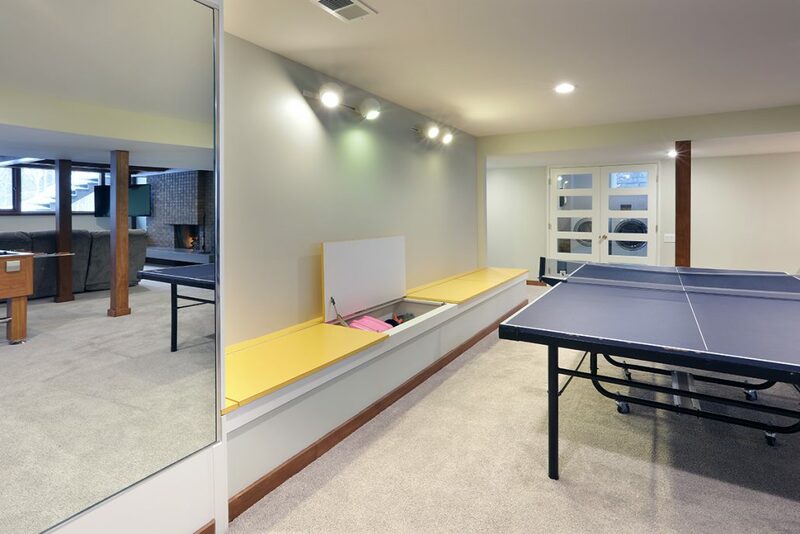 Create storage bench with soft close lids for toys an bins. 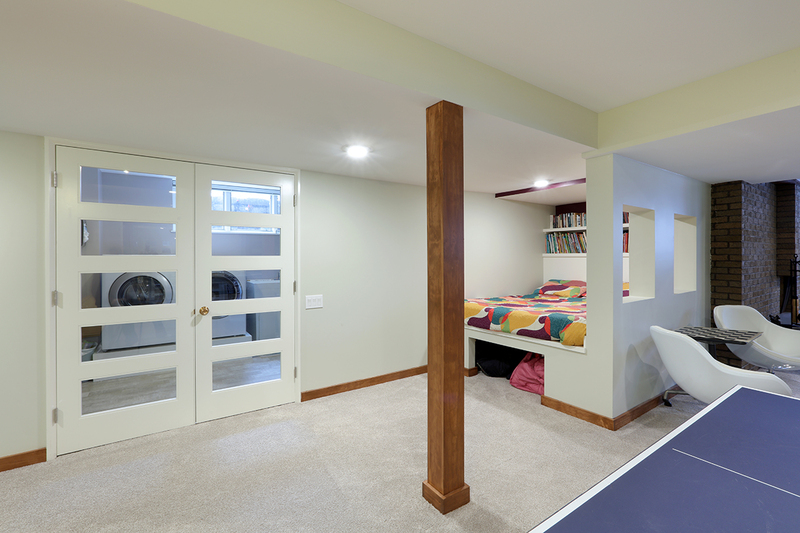 Create mirror corner with ballet barre. Create reading nook with book storage above and finished storage underneath and peek-throughs. Finish off and create hallway to back bedroom through utility room.Full basement remodel. 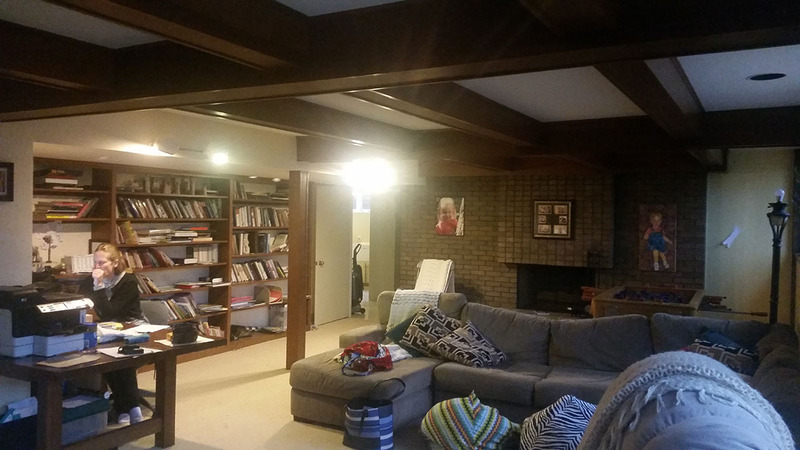 Remove (2) load bearing walls to open up entire space. 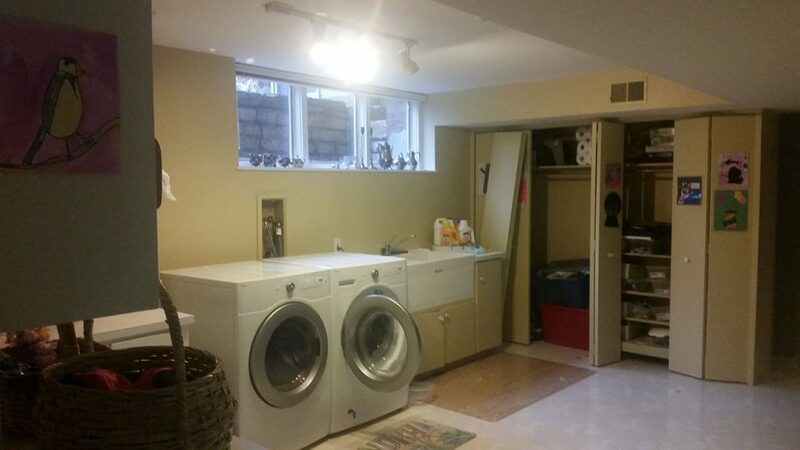 Create new wall to enclose laundry room. 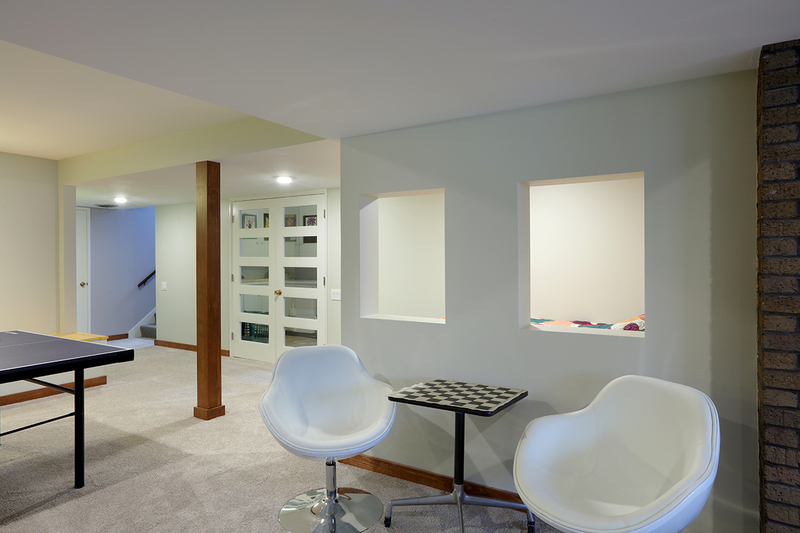 Create dry bar near entry. 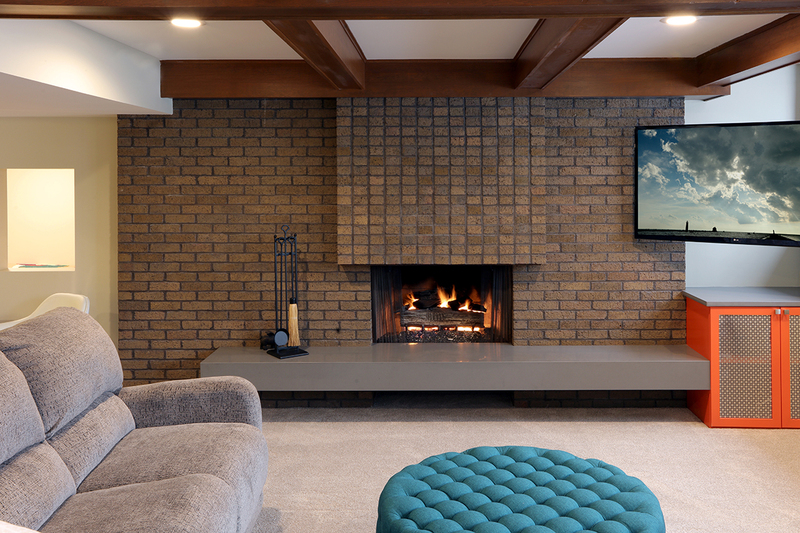 New floating hearth at fireplace and entertainment cabinet with mesh inserts. 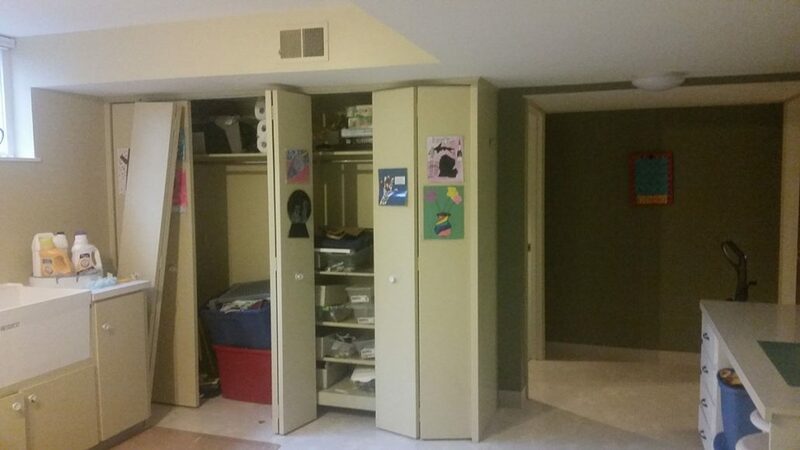 Create storage bench with soft close lids for toys an bins. 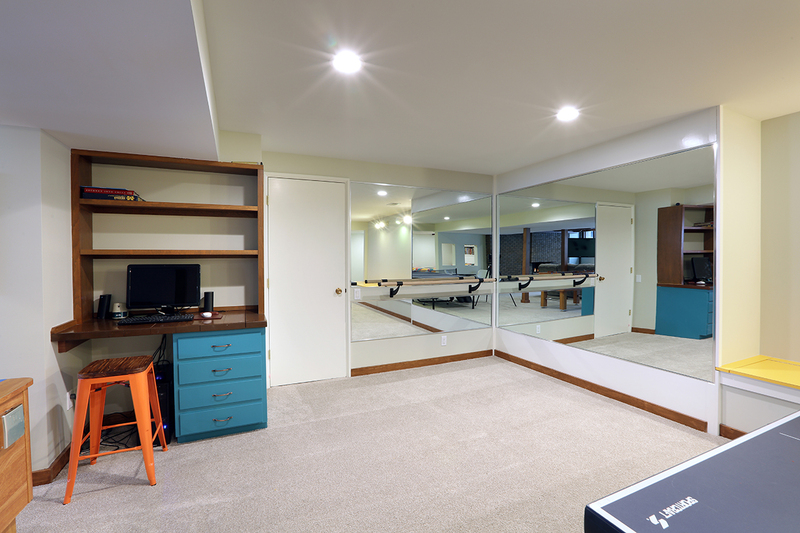 Create mirror corner with ballet barre. 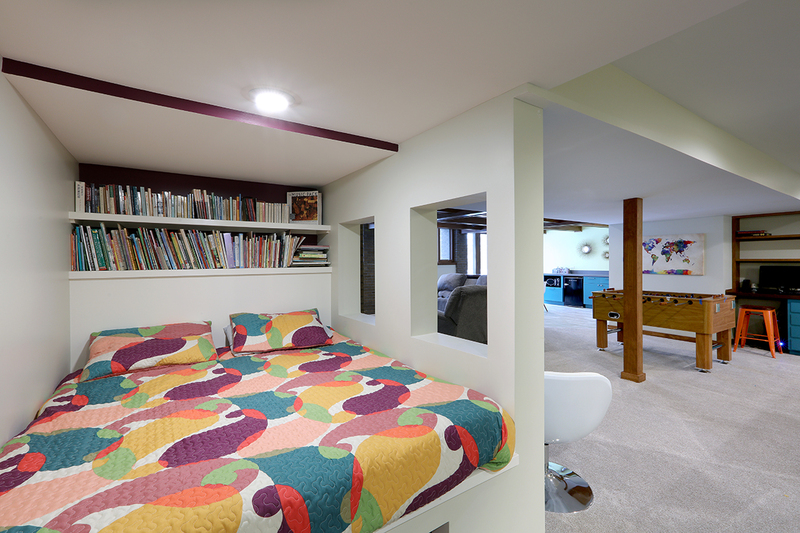 Create reading nook with book storage above and finished storage underneath and peek-throughs. Finish off and create hallway to back bedroom through utility room.